To ensure space on the date of your choice, book as early as you can. Some dates fill months in advance, others don’t fill at all. Procrastinate and you may be disappointed. Generally, weekends fill first and Monday to Friday departures seldom are fully booked. Remember: sooner is better. 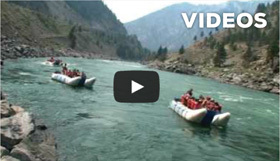 What’s the difference between Kumsheen and other rafting companies? We run the same stretch of river as other rafting companies but that is where the similarities end. Our river operations prove to be one of the safest in the world with respected professionals trained in-house with Kumsheen’s Raft Guide Training School. 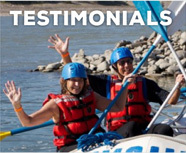 Our Rafting Resort includes a restaurant, swimming pool, hot tub, private campground, lodge, cabin tent & teepee accommodation, basketball and beach volleyball courts.Even our equipment is the finest on the river. We use 100% self-bailing rafts that have been built to our specifications for the Thompson. Our power rafts have proven themselves time and time again on the big water of the Thompson and Fraser Rivers. No one compares with our four decades of experience on these rivers. We’ve safely shared the Thompson’s whitewater with over 250,000 guests of all ages. No one even comes close. How do I get to Lytton? If you’re driving check out our Getting to Kumsheen page. Greyhound Bus Lines has twice daily departures to and from the Lytton Hotel. Ask the driver to let you off at the Kumsheen Rafting Resort and you’ll arrive at our doorstep. Kumsheen Raft Adventures takes pride in its reputation as one of the world’s leading rafting outfitters. From the finest resort facilities to the best safety record, you’ll go first class with Kumsheen. But don’t take our word for it; ask around, or check out unsolicited comments on Trip Advisor. More people choose Kumsheen on the Thompson & Fraser Rivers than all our competitors combined. 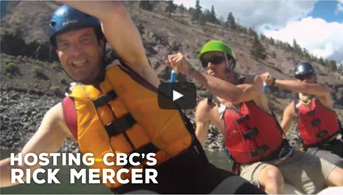 The Thompson & Fraser feature very good rafting conditions all season long. Our schedules and raft styles reflect water flows. A shortage of water is never a problem on these two large rivers. What is the minimum age for rafters? All rafters must wear specially designed whitewater lifejackets which we provide. Swimming is strongly recommended on our Paddle Rafting excursions, but not essential for our Power Rafting excursions. How many people are there per raft? Capacity varies with the size and style of raft. Power Rafts: Maximum 16 or 21 people; Paddle Rafts: usually 10 or 12 people. 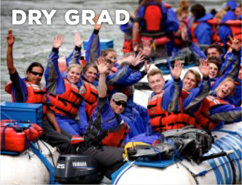 We have the best safety record of all Western Canadian rafting companies; over 250,000 rafters have been safely guided down the Thompson and Fraser Rivers by Kumsheen. 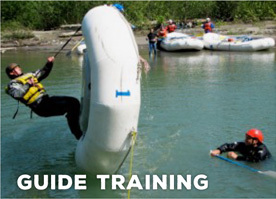 Our river guides are licensed and are trained in First Aid, River Rescue, and Kumsheen’s special procedures and techniques. What kind of clothes should be worn on the river? Weather conditions vary greatly from month to month and river attire varies accordingly. Power Rafting: bring a bathing suit, towel, shorts, t-shirt, aqua socks, river sandals or running shoes, wool socks, wool or polypropylene top, long pants and rain gear (we will provide raincoats if you have none).Paddle Rafting: wear a bathing suit or shorts under the farmer-john wetsuit that we provide. Add low-cut running shoes or river sandals and on cool days a windbreaker and wind pants. Do not wear cotton on the river. River rafting is fun in any type of weather provided you dress properly. We go rain or shine – you’ll get wet either way. Keep in mind the Thompson/Fraser region is semi-arid desert and gets over 325 blue-sky days every year! Can we bring tent trailers and recreational vehicles to the campsite? Yes. We have level parking pads on all campground sites and can now offer 6 sites with electric RV hookups. Campfires are permitted at the two common campfire circles but are not permitted at individual sites. The dry climate of the Thompson means that there is a great risk of forest fires. Is there a curfew in the camping area? Out of respect for other campers, we insist on quiet camping after 11 pm (12 am on Saturday nights). If our quiet time is not suitable for you or your group, we will gladly refer you to another campsite in the vicinity. Drinking is not permitted before or while you are engaged in an activity. Anyone who is drinking or appears to be intoxicated before the trip will be denied participation. Refunds or alternates dates will not be given. Guests are permitted to bring along alcoholic beverages for personal enjoyment at their campsites or the evening campfire. Responsible behavior is expected from all our guests at all times, and remember, rafting is a lot more fun without a hangover. Yes, pets are welcome. Check out our Pet Policy. Sorry, babysitting or daycare service is not available. Which is better, Power or Paddle rafting? Which style is “better?” Neither – they simply are different. As a general rule, we recommend power rafts for most first-time river runners on the Thompson. They are our only option for the Fraser and for high water on the Thompson because they provide us with great stability, buoyancy, and maneuverability. These are pontoon rafts similar to the kind used on the Colorado River in the Grand Canyon. They consist of two large inflatable tubes joined together by a flexible metal frame and wooden floor. They are powered by an outboard motor. Paddle rafts are smaller than power rafts and you are required to work as a team in order to negotiate the rapids. Your guide calls paddle instructions and you assist the team by paddling together. The ride is “smoother” compared to power rafting but generally results in a strong sense of accomplishment. Swimming ability is strongly recommended. We reserve the right to transfer your booking from paddle to power rafting if required because of water conditions. Does Kumsheen have any memberships? Does Kumsheen accept all major credit cards? At this time we happily accept Visa and MasterCard. What languages does Kumsheen speak? Our season begins on May 1st and runs until the end of September. Every trip and package has its own cost, depending on what is included. What is your dining like? The Cutting Board Restaurant is open full-time from July 1st to Labour Day. All resort packages include dining in the Cutting Board Restaurant. Breakfast, Lunch, and Dinner are served à la carte. Beer and wine are available and served by restaurant staff. Restaurant hours: Sunday to Thursday: 7 am – 2 pm, 5 pm – 8 pm. Friday and Saturday: 7 am – 2 pm, 5 pm – 9 pm. Swimming pool, hot tub, volleyball, disc golf, horseshoes, hiking, tetherball, basketball hoop, games, Saturday night entertainment, walking trails. 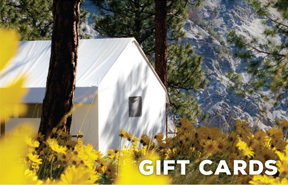 What is your campground capacity? 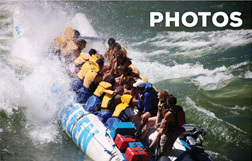 What is your rafting guest capacity? What are Kumsheen’s meeting space capabilities? “The Loft” meeting room is approximately 1000 square feet with seating for up to 25. AV equipment is available. Space for short group meetings for up to 150 available upon request.